One of the big benefits of the diamond profile is its unique shape. Because the profile come to a point at the bottom, there's almost nowhere for debris to gather. That's a big benefit when it comes to maintenance, since accumulating debris on a roof can become a big problem. Decomposing organic matter like leaves, branches, pinecones, etc., can form clumps on a roof that will trap moisture. And that moisture can be the start of deterioration in many roofing materials. That's why a common maintenance chore for any homeowner is keeping the roof clear of this kind of debris, which can be hard to manage. Luckily, with a diamond profile, it's one less thing to do. 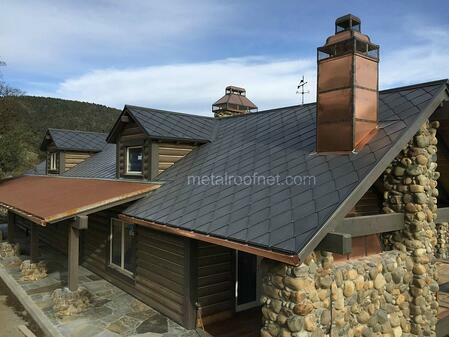 If you have an upcoming roofing project, download our free re-roofing guide to learn more about the benefits of metal roofing. For a roofing profile that looks beautiful and performs even more beautifully, contact us today. We'll be happy to tell you all about our diamond profile and the many metals in which it's available.